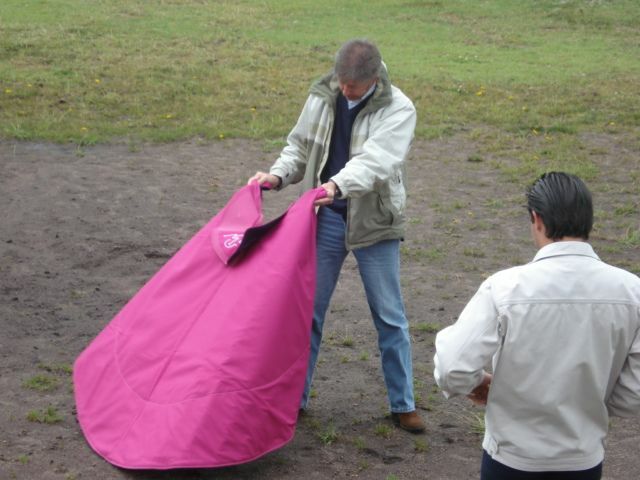 ECUADOR in South America - Volcanos and Bull Fights - Ghumakkar - Inspiring travel experiences. The first time I heard the name ‘Ecuador’ was way back when I was a small child. I don’t really remember in what context it was mentioned, but since then I have known, that on this earth, there exists a place, called ECUADOR. Where it is, I had no idea. Of course as I grew up, I realized it was in South America but it continued to intrigue me as one of my childhood mysteries. Therefore it came as a surprise to me when I heard that I might be visiting this place for a shoot, in connection with the work I was doing. My profession is such that it gives me the opportunity to travel extensively, all around the world. 15th April 2007, was when I was supposed to go there. I started researching on the country, via pamphlets, and the internet of course, and the more I saw the more I wanted to visit. The only problem was, I was the only member of the crew who required a visa to go there. It is very disappointing and upsetting to realize that most Europeans, Americans, Japanese or Australians can roam around the world without a visa. However an Indian requires a visa to get into almost all the countries in the world. Never the less, undeterred by this knowledge, I applied for a visa and got a work visa for 15 days. I had no idea where all we would be going. I only really knew two names – Pichincha and Quito (pronounced KITTO) I called my parents to let them know my travel plans.My friend Mikel and I were to fly together. Other crew members Dale, Christopher and Will Hanoi were supposed to join us later. As usual Mikel, who was to be my interpreter for the trip, was late. He arrived as I was going through the security, apologizing as he rushed towards me. Of the two I was the one stopped and scrutinized more than Mikel. Mikel joked about it saying that I, probably, looked like a terrorist. And we laughed about it.Our first destination was Guayaquil. It was a 6 hour long flight and we flew over the Bahamas, Cuba and Panama. It was an amazing experience. We landed around 5pm local time, saving one hour due to the time difference. Santiago de Guayaquil, largest and most populous city of Ecuador is on the banks of the river called “Guayas”. It’s about 155 Miles away from Quito. The best part I liked about Guayaquil airport is that there is a Wi fi connection and its FREE. Most of the airports in the world charge for wi fi (McCarran in Vegas is also free). The worst part for me , being a smoker, was that we could not smoke at the airport. They have not catered for smoking at all unless you have money you want to just blow up. There is a lounge near the boarding gate called “AEROPUERTOS VIPCLUB” , you can go and smoke inside that Club, but wait, the entry charges are whooping 20 US Fu**** Dollars, (800 Rs).We had two hours transit time, so we talked to the locals there to get the feel for the area. We found out that there are many places to see in Guayaquil mainly Palacio Municipal, The Mercado Artesanal, Las Peñas Neighborhood, the Museum of Anthropology and Contemporary Art (MAAC).We were also joined there by Mikel’s boyfriend who arrived from Madrid, to be with him while he was in Ecuador.Our flight was delayed for an hour due to some technical problem and I was nervous praying that we don’t crash. But we reached Quito safely at around 9pm. Even though I was uneasy, at Quito, we breezed through the immigration process. We were out of the airport within 20 minutes. Julio, our guide came to pick us up. Wearing many hats, he was also one of the members of the cast for the movie which we had come to film. Quito seemed amazingly like an Indian city, except that you drive on the right hand side of the street. We went directly to the office where we were met by the director, Alicia and the lead actress, Jennet. Here we were told that the base we were going to reside for the duration of the filming was 50 km away from the city. This was a one and half hour drive. Tired, hungry we arrived at this place but were thrilled when we saw the house. This hacienda (Spanish for a big house) was a sprawling building with all modern amenities, like a swimming pool and card and pool area. Everyone had a room to themselves. Spain, we began by being served wine, followed by a sumptuous dinner. Even though my agenda for this trip was “I will eat everything!” I was not able to fulfill this agenda as the food was very different from what I was used to. I have two problems. I cannot live without Indian food and I am allergic to Sea food. With these two shortcomings, I carry emergency supply of Maggi Noodles everywhere I go. Of course I had brought them here too. I was here for work and had no intention of spoiling my trip of a lifetime by being sick. 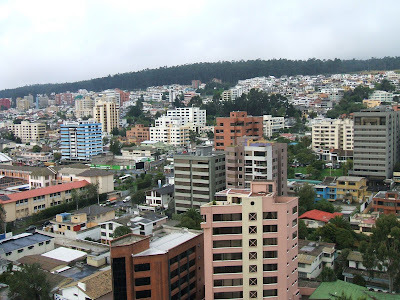 San Francisco de Quito, in the north of Ecuador is the capital of the country. Quito is also capital of Pichincha Province. The city is 2850 Meters above sea level which makes Quito the 2nd highest capital city in the world and is just 15 miles away from Equator. This city looks like any Indian city, except that the roads are really well made. However if you go to the villages and the interior of the city, they have the same dirt tracks and cobbled roads. One of the beautiful villages we visited was Otavalo. Otavalo is a 2 hours drive from Quito and comes under Imbabura Province in Ecuador. 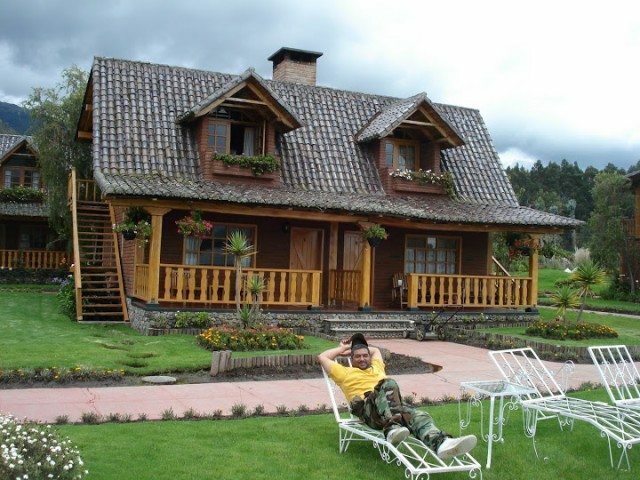 This valley is surrounded by the Imbabura, Coachchi and Mojanda Volcanoes. The small town, which is famous for its textile and craft, reminded me so much of Paonta Sahib, my home town. The whole town looks like a movie set, which someone might have created overnight. Small roads and shops give it a very picturesque look. Even though it has that feel of a small village in India, it is definitely better maintained. We spent the night there. On our last day of the shoot and the trip, we decided to go to Sierra Morena. 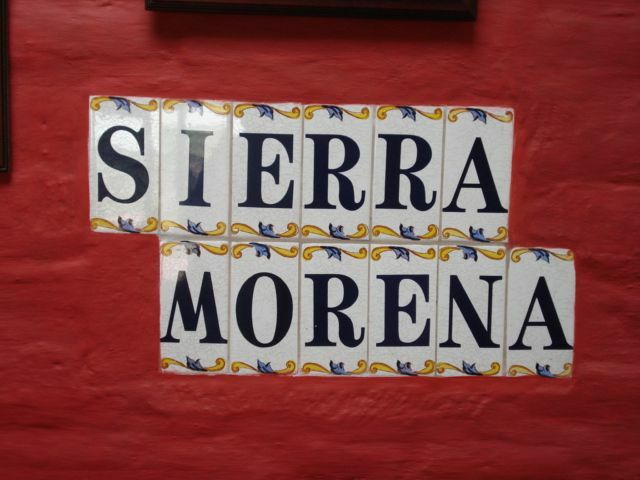 Sierra Morena is basically another Hacienda which belongs to Alicia. 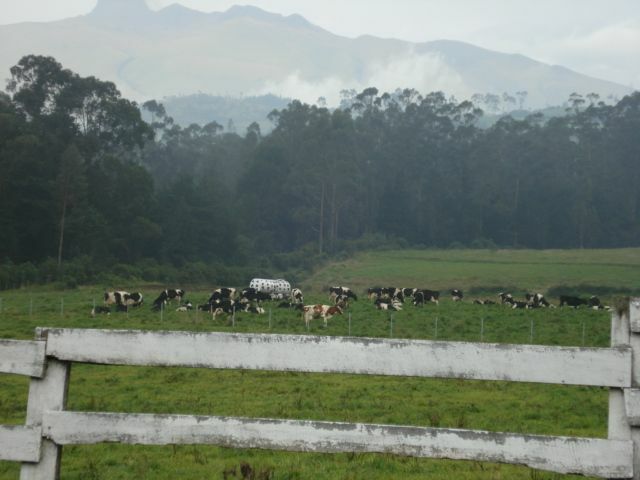 It’s a much bigger farm than the first hacienda where we were based and there are hundreds of bulls and cows and horses. Ranching and Bull Fighting is a passion with rich Equadorians. Sierra Morena has a big Bull Arena in the front, where people can watch bull fights and relax at the same time. We had a Wrap up party that evening and bull fight. The host organized a barbeque party in the Argentinean style for the guests. Here for the first time in my life I saw a Bull Fight. Even though I had heard about it a number of times but watching it live is a totally different experience. The Wrap Up Party was wonderful too. We partied all night, making it a night to remember. This was the icing on the cake. The Ecuadorians are very hospitable and I made many friends that night and a number of the locals came up to me to tell me how much they have enjoyed having us there. We left in a mixture of emotions -tears and laughter- and I fell in love with the country and the amazing people and their hospitality. 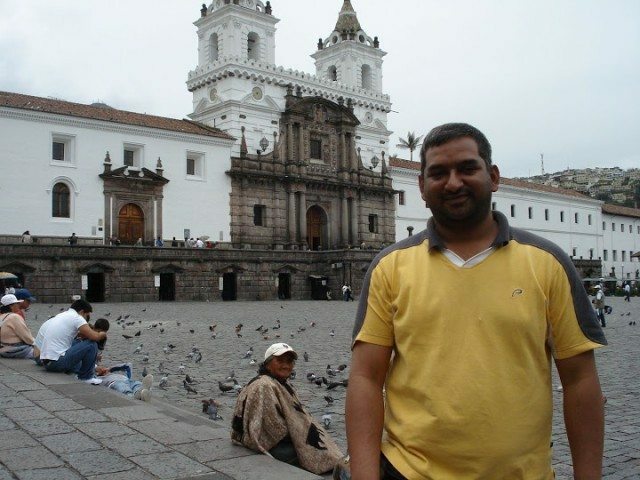 There are no direct flights to Quito from India. If you want to travel to Ecuador, you have to go via USA. From North America there are many flights to Guayaquil and Quito. There is Continental, American Airlines, LAN Ecuador etc which are directly connected to Newark, New York, Miami, Chicago and other airports in the US. Flying from India to Ecuador will be somewhere around 70, 000 to 100,000 INR, depending the class you travel and your itinerary. The government of Ecuador and the general public are a friendly race. Although the white race is referred to as GRINGO’S”, they are relaxed nation with no serious racial discrimination. However, you have to be cautious you might be taken advantage of, being a tourist. The locals have a reputation of trying to con people who are not familiar with their way of life.There are many cases of coup and sudden government fall, strikes and rally’s, so before going to Ecuador please get yourself updated on the current affairs. There are also many weird cases where locals have sued rich people and people from outside for silly things. So make sure you don’t get any summon from the court while you are trying to leave the country (it’s rare but nonetheless a possibility). Strip searches at the airport, to check for smuggled goods, is also a possibility. And if you are from any other nation be prepared for questions and checking. For example my bag was opened by the custom officials I was only allowed to board the flight once they were sure that my stash of Maggi Noodles was just regular food and not something more sinister. Ecuador is an amazing country, was ruled by Spain for a long time and now the official language is Spanish. Language will be a problem for non Spanish speaking people. A translator would be required if you want to be able to communicate with the people. Woo-hoo. finally you are here. welcome. you sort of covered so many things in one post, probably it would have been easy to read and comprehend in bits :), and how do you remember all the names. Very impressive. I personally think that bigger photos would have worked better. And I need to read this again. The house looks beautiful. Looking fwd to Vegas. wow …that sounds like a dream ..I liked the volcano bit …I went to Brazil and Costa Rica too a decade ago. and it was great fun ! btw, was wondering about your shoot ..
A very good post Vivek. 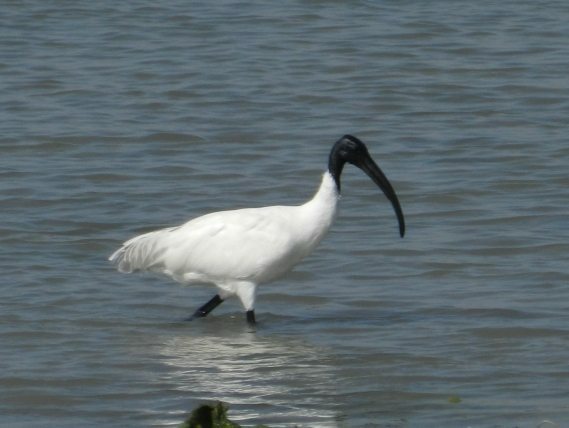 Same request as that of Nandan, bigger pictures and several posts would have helped to grasp the beauty & the description more. Nevertheless its nice reading the post. BTW you can still modify the post and have bigger pictures. Looking forward to read about Las Vegas. Just a comment: I find bull fighting inhumane. Initially I used to feel that they just fight till the time bull is tired. On my trip to Barcelona, I learnt that the end of bull fighting is with the end of the bull. Killing of animals for our pleasure, I find it difficult to digest. Nice initiative of traveller’s collective and nice write-ups. Will keep coming back.. Informative and interesting!! wish i could visit the places too..though i really enjoyed reading about them as well. it increased my curiosity about knowing and exploring them more..(off the record, jus to share) it felt like one of the fairytales (stories), a granddaughter might listen to, from her grandfather.. As i’ve never been to any other country, it surprises and fascinates me that such beautiful places exist.. Good Work GP… keep it up.. so that i may get an opportunity to travel all around the world as well..through ur pictorial writings.. thanks! !..thumb’s up!! Hi guys, thanks for all the comments/rating/views/suggestions. This was my first post and I am really thrilled. I am almost done with Vegas and will publish it in coming week. @Manish I completely agree with you, bull fighting is inhumane. But we used this bull fight only for shooting purpose. @Jia: Thanks a lot for such a sweet comment. I have loads of story to tell so don�t worry your grandpa will never disappoint you. If vegas is long one too. Please see that can you split it into two or three, without losing the continuity and all the smooth flow that grand kids might be expecting from Grand parents. I feel that it helps to read them when they are not new too. I read your article about Ecuador and am very much interested in the safest and cheapest means of getting to Ecuador via flights.. 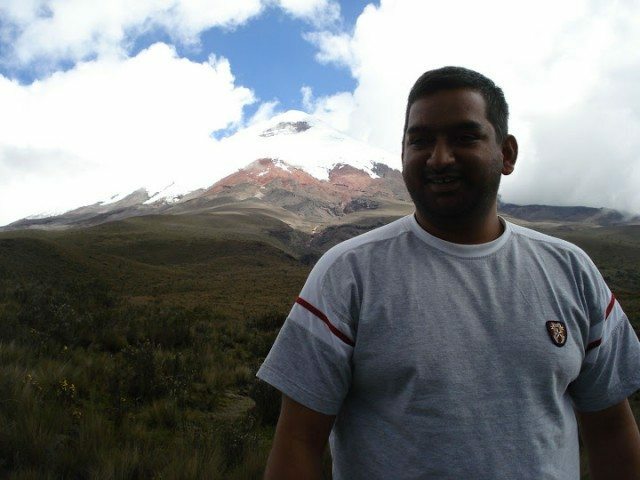 I am a Nigerian Aiesec trainee in New Delhi India confer http://www.aiesec.org, and have just got a new Internship in Loja Ecuador. I want to get the cheapest flight as possible, so i need a little help down here. Do you ever think of going back and revisiting? Enjoyed going through your post Thanks for making us acquainted with Ecuador and its cities. Your point about Visa, it is so relevant. Probably our polity needs to take heed !!! Ecuador, does it have something to do with equator? 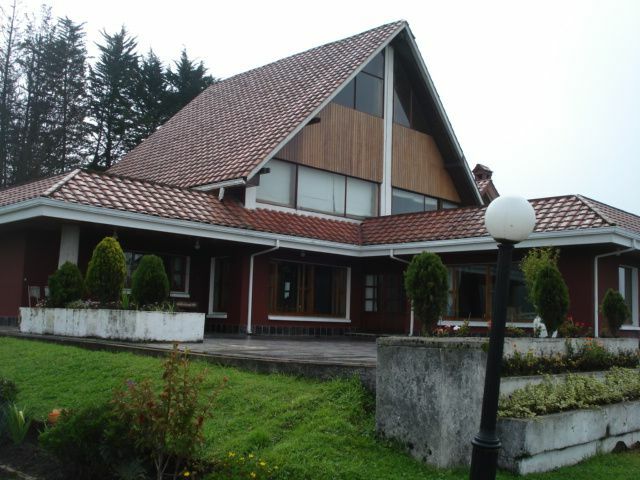 Otavalo vis-a-vis Paonta Sahob – localisation competing with globalisation? I would say, yes; this would be synonym to the phrase ‘global transition’, I guess. Thanks again for such an informative piece. Pingback: Ghumakkar Monthly Digest – November 2013 / Ghumakkar – Inspiring travel experiences.